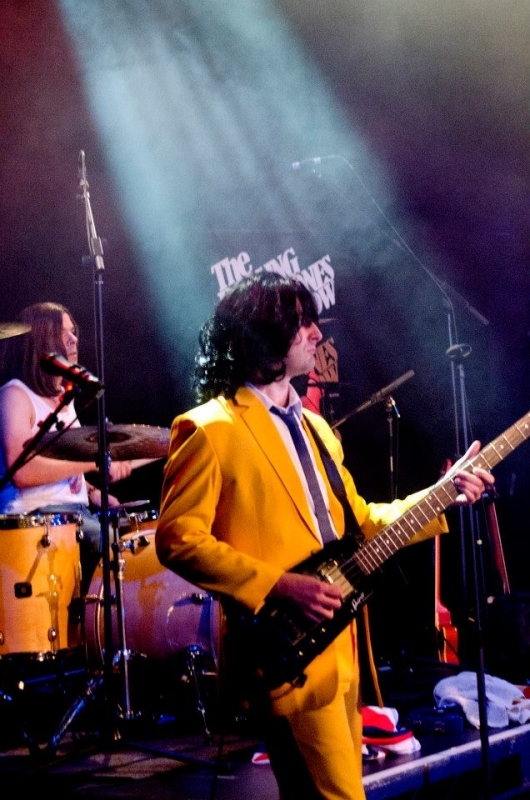 Find a The Rolling Stones Tribute Band for hire near you in minutes! Option 1. Enter your event location below & contact a The Rolling Stones Tribute Band directly! Option 2. Request multiple quotes from available The Rolling Stones Tribute Bands Get Quotes! Option 3. Read information & advice on hiring The Rolling Stones Tribute Bands Read Advice! 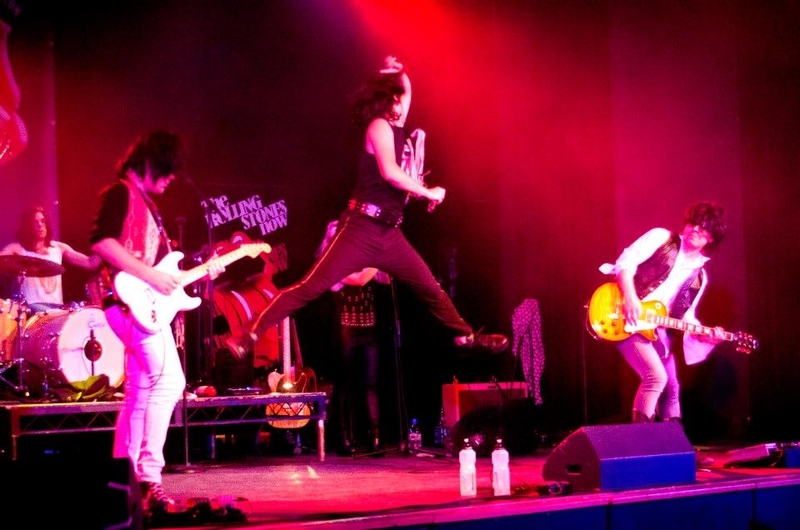 WANT TO KNOW MORE ABOUT Rolling Stones TRIBUTE BANDS? A Rolling Stones Tribute Band will play all of your Rolling Stones favourites at your special event! Read on for the most comprehensive guide to booking a Rolling Stones Tribute Band, including how much a Rolling Stones Tribute Band costs, exactly what they will do at your event, plus tips, advice and information to help make your event one to remember! WHAT EXACTLY WILL A Rolling Stones TRIBUTE BAND DO AT YOUR EVENT? The Rolling Stones are one of the biggest bands in the world, fact! They were a part of the British Music Invasion that happened in the early 1960s where a whole host of British bands stormed the music charts! This cultural phenomenon also included The Beatles, The Who and The Kinks! The Rolling Stones started off playing Blues Music and Rock ’n’ Roll, but have since spread into all kinds of genres including Country Music, Disco and Soul, amongst many others! Hire a Rolling Stones Tribute Band and they will play the best hits of the Rolling Stones, ever! Mick Jagger is one of the best frontmen of all time and creates a great, interactive show by involving the audience to get up and dance, clap and sing along! And with dance moves allegedly learn from Tina Turner, you will be in for a treat with the Mick Jagger impersonator! You can expect a Rolling Stones Covers Band to present you with a Mick Jagger impersonator singing the songs that made The Stones famous! He’ll give you the trademark snarls, mannerisms and of course, he’ll certainly give you the moves like Jagger! You can also expect the covers band to wear the trends that the Rolling Stones are well known for wearing in their heyday! You can also expect a Charlie Watts mimic on drums, a Ronnie Wood stayed guitarist, and of course, a Keith Richards poser on guitar and backing vocals! Mainly, a Rolling Stones Tribute Band will entertain your audience with a fantastic live show that will put the wow factor into celebrations and impress your guests, whatever their entertainment tastes may be. WHAT EVENT TYPES ARE Rolling Stones TRIBUTE BANDS HIRED FOR? Because of the widespread amount of musical genres covered by The Rolling Stones, you can rely on a Rolling Stones Tribute Band to bring a romantic classic to proceedings as the bride walks down the aisle! You can request for the The Rolling Stones Tribute Band to play something such as the classic ‘Wild Horses!’. Or how about choosing the equally romantic hit ‘She’s Like a Rainbow!’. What a groovy 60s tinge you will bring to the wedding ceremony by hiring a Rolling Stones Tribute Band! A hired Rolling Stones Tribute Band will be an excellent backdrop to your wedding drinks reception due to their vast catalogue! They will play through acoustic greats such as ‘Angie’, ’Not Fade Away’, ‘Ruby Tuesday’, ‘Fool to Cry’ and many many more! This is the time of the wedding day when the wedding guests will be clinking their glasses together and schmoozing for the first that day, so what better way to soundtrack this than with the Rolling Stones! A hired Rolling Stones Band will run through amazing renditions of Stones songs at the wedding breakfast ceremony such as ‘Brown Sugar’, ‘Last Spend the Night Together’ and ‘19th Nervous Breakdown!’. A great way to celebrate the proceedings as the bride and groom invite you to enjoy the wedding speeches and the cutting of the wedding cake, mainly because your wedding guests will all know the incredible songs being played! The Rolling Stones have always been fantastic at getting a party started! So why not hire a Rolling Stones Tribute Band for the wedding evening evening reception entertainment?! The Rolling Stones Tribute will play covers electrifying Stones songs to really get the celebrations up and running! You can expect thrilling renditions of ’Start Me Up’, ‘Happy’ and of course, the mammoth ’(I can’t get know) Satisfaction!’. Imagine your friends and family dancing arm and arm, singing along to the area live Stones songs! If you want to create a buzz at your corporate event, then we strongly hiring a Stones Covers Band to play the best Sones songs in the world! The Rolling Stones Tribute Band will consist of a group of talented musicians who will play Stacks from the 1960s and 1970s, all the way up until the present day! You can hire the band to play at your trade show or product launch, where they will undoubtedly sway potential clients to dance and sing along! Perfect for making everyone feel involved! You may also want to hire a Rolling Stones Tribute Act to covers Stones songs at your work party! The Rolling Stones are one of those timeless bands who will appear to coworkers of all all ages! If you know somebody who is mad about the Stones, then you may want to hire a professional Rolling Stones Tribute Act to play at your party! Nobody knows how to party quite like Mick and Keith, and the impersonators will be no different! If you are having a themed party, such as a 1960s themed party, then you may want to hire a Rolling Stones Covers Band to bring the groovy vibes at your party! You can expect classic songs such as ‘Get off my Cloud’, ‘Have you seen your Mother Baby, Standing in the Shadows’, and ‘Let’s Spend the Night Together’. You can use our easy to use personal messaging service to construct a setlist with the Rolling Stones Band, choosing your favourite Stones hits. Whether it’s B-Sides or rarities, the Rolling Stones Tribute Band will consider playing anything from the Rolling stones canon of songs! HOW MUCH DO Rolling Stones TRIBUTE BANDS COST TO HIRE? Our simple to use entertainment directory allows you to firstly search for the best Rolling Stones Tribute Bands who are local (or travel to your area) and then via the contact form you may message them directly to enquire for a no obligation quote to perform at your event. Some acts will also add a rough price guide to their profile for your convenience. WHAT ARE THE USUAL SET FORMATS AND PERFORMANCE LENGTHS FOR Rolling Stones TRIBUTE BANDS? A Rolling Stones Tribute Band can tailor their performance to times to suit you and your event, however, on average, a professional Rolling Stones Tribute Band will perform for two 45 minutes sets. HOW MUCH SPACE WILL A Rolling Stones TRIBUTE BAND NEED AT YOUR EVENT? You may want to hire a Rolling Stones Tribute Band to perform at your event? If this is the case, then you will need space for a full band back-line. This may mean you need an area of 4 metres by 3 metres. WHAT EQUIPMENT AND SET UP REQUIREMENTS DO Rolling Stones TRIBUTE ACTS NEED? As with most artists who sign up to Entertainersworldwide.com, a Rolling Stones Tribute Band will provide all of their own equipment. You may want to enquire if an artist needs a PA to amplify their sound, in which case we would advise to use our easy to use messaging service to find out. We do ask that each performer gets a backstage area in which they can prepare for the performance ahead. If your venue does not have a backstage area, then we kindly ask that you enquire with the venue to seek an alternative space in which the performer can comfortably get ready to entertain. HOW CAN YOU FIND AND BOOK A Rolling Stones TRIBUTE ACT WITH ENTERTAINERSWORLDWIDE.COM? 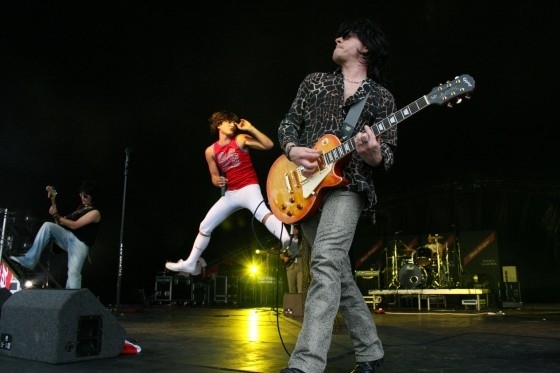 WANT TO RECEIVE A RANGE OF QUOTES FROM The Rolling Stones Tribute Bands?